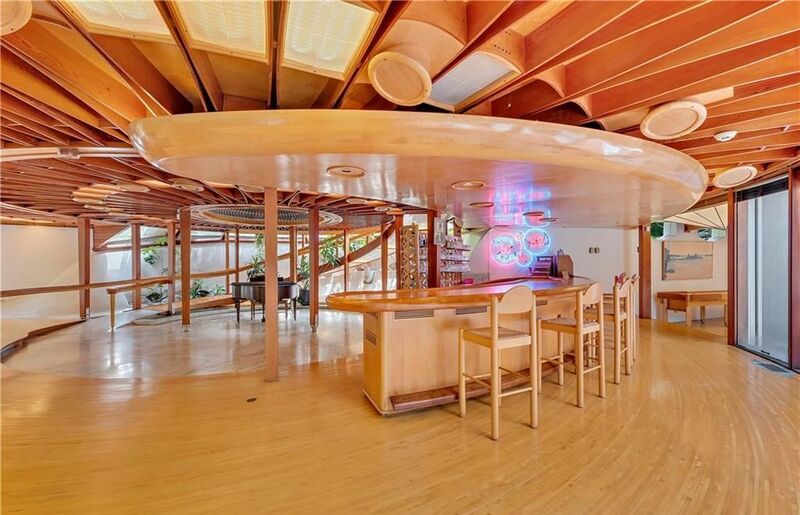 In 1959, popular TV comedian Jackie Gleason became so obsessed with life on galaxies far, far away that he built his house to look like a giant spaceship — and now, the round, winding structure is on the market for $12 million. 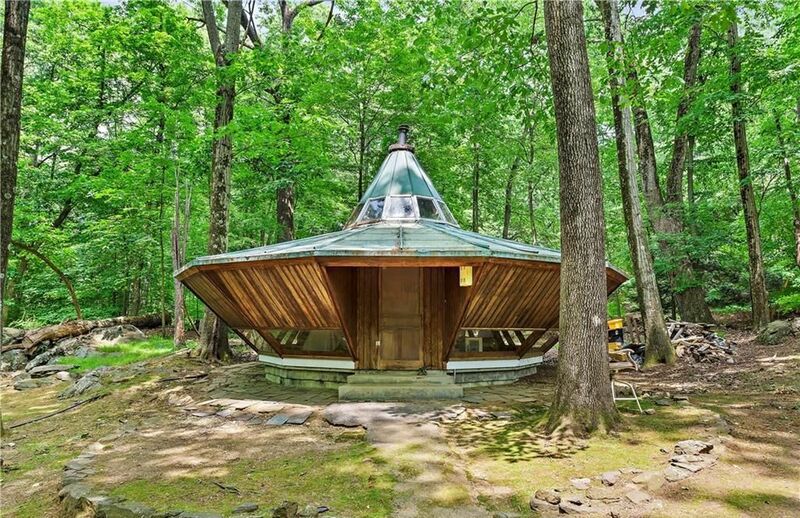 Using The Honeymooners star’s love of outer space and UFOs as inspiration, architect Robert Cika designed the house and an adjacent cottage in Cortland Manor, New York, from scratch. Everything in the two buildings — nicknamed “The Spaceship” and “The Motherhsip” by Gleason — is circular, with the structure supported by exposed wooden ship beams spiraling out from the middle. Gleason, who rose to fame after landing small roles in 1940s movies and eventually landing a prime comedy slot on CBS’ The Jackie Gleason Show in 1949, took six years to build the house specifically to his liking. Even today, the Spaceship and the Mothership look like something straight out of the future — the stairs, curved floorboards, master bed and cabinets are all built as a spiral without a single right angle in view. Listed by Keller Williams’ Margaret Bailey, Howard Payson and Jacqueline Campanelli, the estate boasts five bedrooms, six bathrooms and more than eight acres of land. 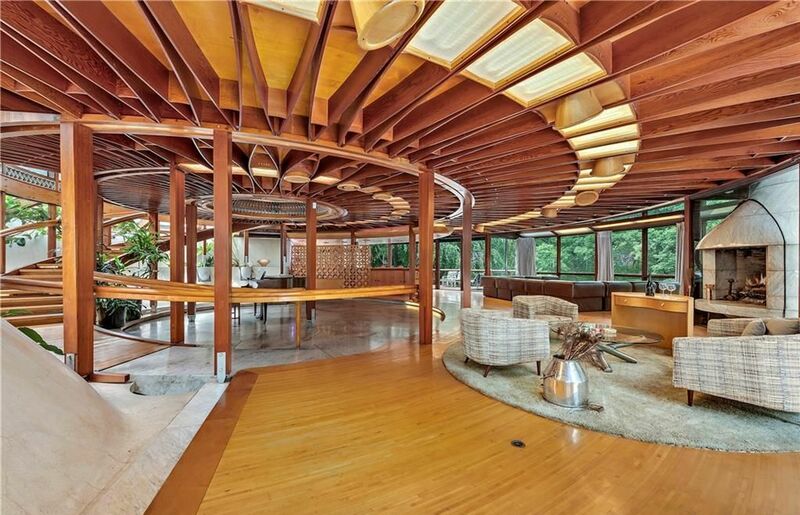 From the marble staircases and curving kitchen to the winding bar that can accommodate up to 14 people, each detail was built to honor Gleason’s lifelong love of space and science fiction. But perhaps the most significant part of the Spaceship House is its history as a place of entertainment — Marilyn Monroe, Richard Nixon and Frank Sinatra have all partied in its halls at the height of Gleason’s fame. The current owner, a recently retired orthodontist, bought the house in 1976 for $150,000. 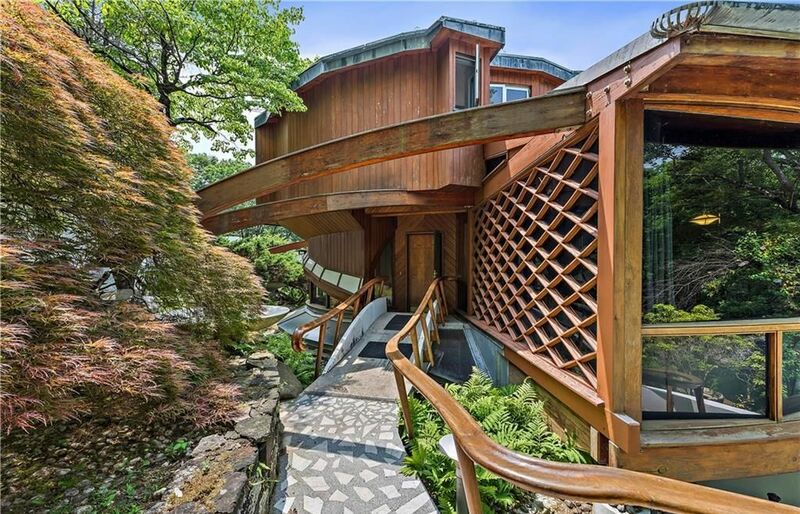 Article image credited to The spaceship-shaped house that comedian Jackie Gleason built in 1959 is listed on the market for a price of $12 million.